07.01.2017. bet365 Stadium, Stoke, England. FA Cup third round football. Stoke versus Wolverhampton Wanderers. 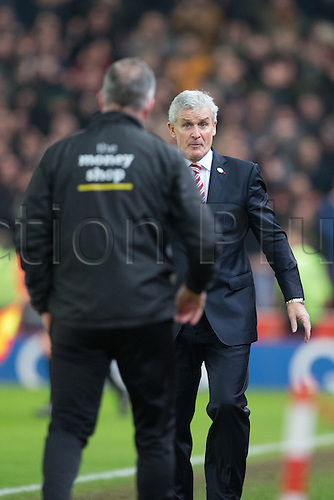 Stoke manager Mark Hughes looks shocked at the result as he shakes hands with Wolves head coach Paul Lambert.